Excuse my flash, and you can click on this image to see a bigger one. 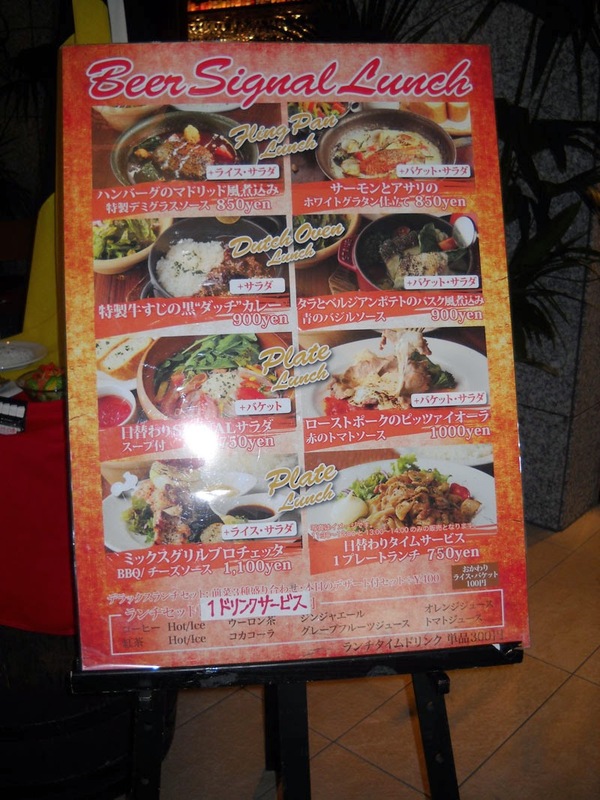 The oddest part of this sign is not the name of the place (though it is peculiar), but the first grouping of food - the "fling pan lunch". I'm sure that this relates to some sort of cooking style in Belgium, but a casual search didn't yield anything that makes sense to me and I'm not interested enough to go too deeply. Besides, the truth can't be nearly as amusing as thinking that pans are actually being flung around the kitchen in some sort of violent avant garde cooking process, so I'll stay with remaining ignorant. 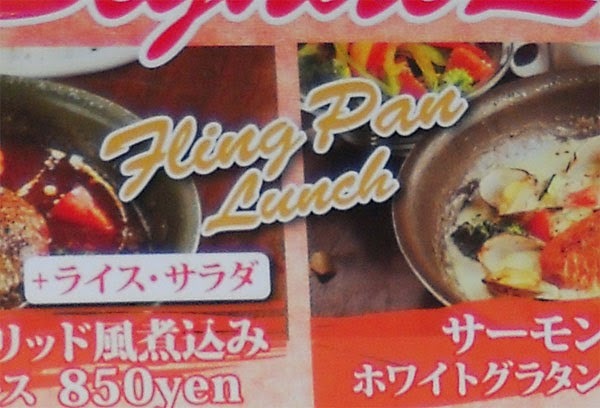 I wonder if it is supposed to be frying pan?